Exclusively for women, the CS&C Women’s Barbell Club meets every Tuesday and Friday from 9:30 to 11:00 AM. Our onboarding program is designed to teach you how to be a confident and capable lifter. Your onboarding process is a series of five one-on-one sessions where you’ll learn everything you need to know to begin strength training safely. In addition to teaching you how to perform the basic barbell lifts: the squat, press, deadlift, and bench press, we also cover nutrition, programming, and more. New mom? Not to worry. Once cleared by your doctor, strength training is the best way to get your body back in shape. Babies are welcome in the gym, too! 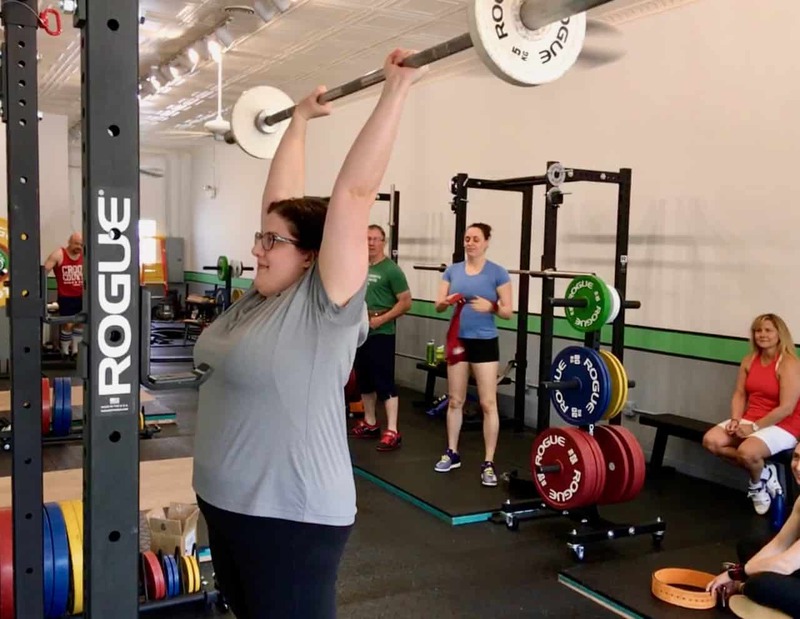 Graduates of our onboarding program are invited to join the CS&C Women’s Barbell Club to continue their training and be a part of our awesome and supportive community. Your personal coach — Your coach will work closely with you to design a program to meet your goals. We aren’t just a “gym” (a room with equipment), we are expert coaches first. Your training is done under the supervision and guidance of an expert barbell coach. Your personalized program — No cookie cutters here. You’ll be training alongside other novice, intermediate and advanced women following your program. Travel Program — Traveling? No big deal. We’ll help you find a gym where you can train and continue to provide your personalized programming while you’re gone.